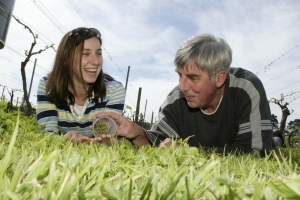 The Bio-Protection Research Centre focuses on finding new, non-pesticide and sustainable solutions that protect New Zealand's plant-based, productive ecosystems from existing and potentially invasive pests, diseases and weeds. This is of vital importance to the future development of the economy, especially in light of a burgeoning and diversifying trade and tourism environment. Professor Steve Wratten co-leads the Bio-Protection-LENScience collaboration project with Jacquie Bay. Steve brings a passion for undergraduate teaching and extensive involvement in science communication and translation projects to the co-construction with education specialists of the LENScience-BioProtection learning resources. The Bio-Protection Research Centre draws on expertise from its four partner institutions: Lincoln University, AgResearch, Plant and Food Research and Massey University.